Life at 7000 feet: Lucky 13! I really wish I could give lots and lots of books away, but I can't. Sigh. The winner of You Can Still Wear Cute Shoes is Chris. Chris wrote: Our church just was blessed with a new senior pastor in December. 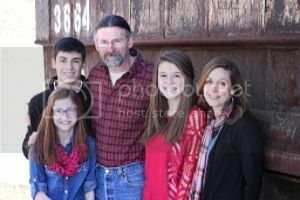 His wife and children are still in OK waiting to sell their home, so the challenging days have already started for her. 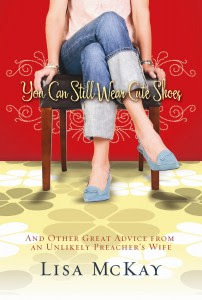 This will be her first time being the wife of a senior pastor, and I'm sure she will love reading the book.I am a wife of an elder, on the women's ministry leadership team, Bible study coordinator and co-leader of a women's minstry to hurting women called Lifelines. If that qualifies me for a second entry...I'll take it!!! Hey Chris, will you leave me a way to contact you in the comments? I know you're local, but I need to get an address from you because I'm going to have your book shipped from Amazon. Thanks and congrats! I'll get it mailed THIS week! Congrats to Chris who is my awesome mom!! just followed you, Meredith...I live in town too. I tried following you before, but I must have had the link wrong.